○	Dr. Farida Jalalzai is the Hannah Atkins Endowed Chair, Professor and Head of the Department of Political Science at Oklahoma State University. Her research analyzes the representation and behavior of women and minorities in politics and the role of gender in the political arena. Her work focuses on women national leaders, and she has published two books: Shattered, Cracked and Firmly Intact: Women and the Executive Glass Ceiling Worldwide; Women Presidents of Latin America: Beyond Family Ties? ; and has another under contract at Temple University Press: Senhora Presidenta: Women's Representation in Brazil during Dilma Rousseff's Presidency (with Pedro dos Santos). Dr. Jalalzai is also coeditor of the volume Measuring Women's Political Empowerment Worldwide and the author of dozens of articles and book chapters about women’s political leadership including instances across the world. 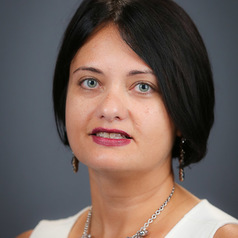 She is currently conducting a global analysis of the prevalence of family connections among executive political office holders and a cross-national study on the political empowerment offered by women presidents and prime ministers. Dr. Jalalzai’s research has generated numerous academic paper awards, and she is frequently quoted in leading media outlets including The Washington Post, The New York Times, The Guardian, and Politico. She has also been a guest on the PBS NewsHour.